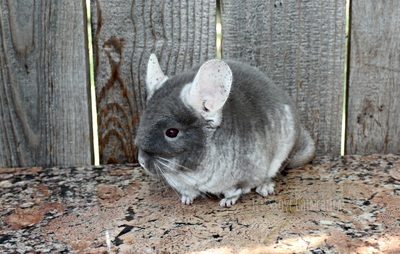 Luna is a 2 year old light ebony / Dirty standard grey ( off white belly ) who has the best personality around. She likes to greet you at the cage. She will come out and hop around. She likes to steal things that aren't hers like chew sticks and keys. 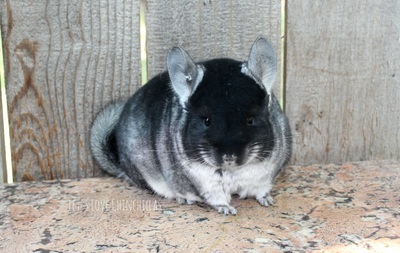 She's the daughter of Aurora and Darrell ( r.i.p ) and is very special to me seeing as she's my only connection to Darrell, who was my 14/15 yr old chinchilla I have had since I was 8 years old. I think she thinks she's a dog or something. Aurora is my fat girl. She's a 5-6 year old Standard Grey female chinchilla. I have had her longest out of all my current chinchillas. She's very shy, but loves 1 on 1 attention. She's been though a bad time where she was almost killed by a cat but we met a wonderful vet that was able to help her. Aurora is such a fun chinchilla, she likes to run around the room and will come out of the cage when she's ready and put herself back in it too. 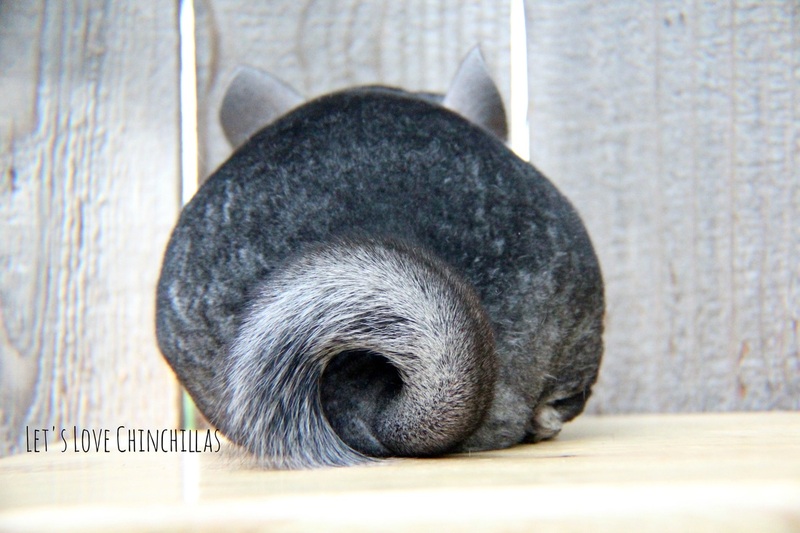 Aurora also has a super curly tail... which is bad for showing but we just love it anyway..
Odin is a Standard Grey ( neutered ) male chinchilla who I have had for a few years now. 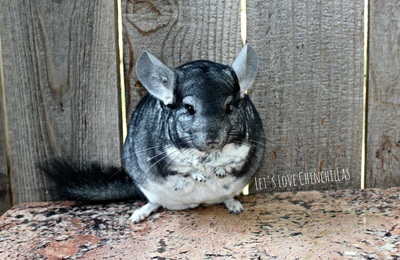 Originally he was my boyfriend's Chinchilla who has now turned into my chinchilla. I am not complaining. Odin will do just about anything for some scratches and a treat. 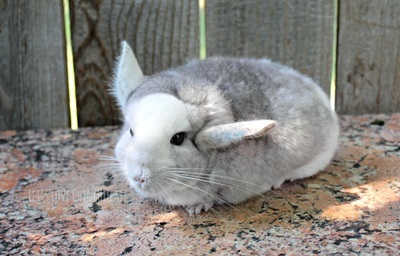 He is very cooperative and calm. He's been shown as well. He took a 3rd place at our first show and then a 1st place at Nationals. He's only a pet though. 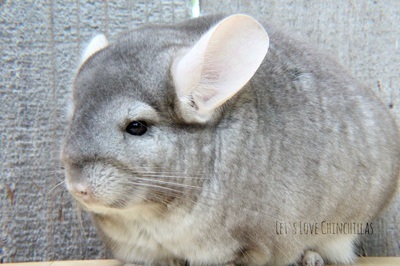 Winter Snow White is a Tan white chinchilla I had bought for myself one valentines day. She was so cute as a kit. I was very excited to get her. She was so little and trusting. She would sleep in my shirt, arms, and blankets. 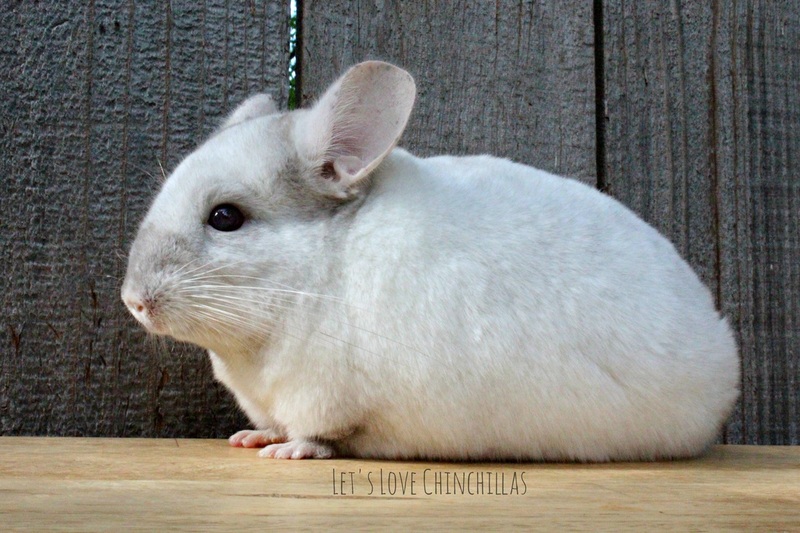 Now she's a big fur ball of SASS and has a real attitude when it comes to other female chinchillas, or any chinchilla that isn't Odin. Odin is her cage mate and she adores him. Snow is an avid hammock tester and treat tester. 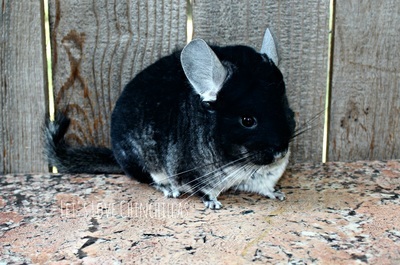 Maleficent is a Female Black Velvet Chinchilla whom I believe is around 3 years of age now, She was my first breeder-bought pedigree chinchilla. I attended my first show in the fall to show her. 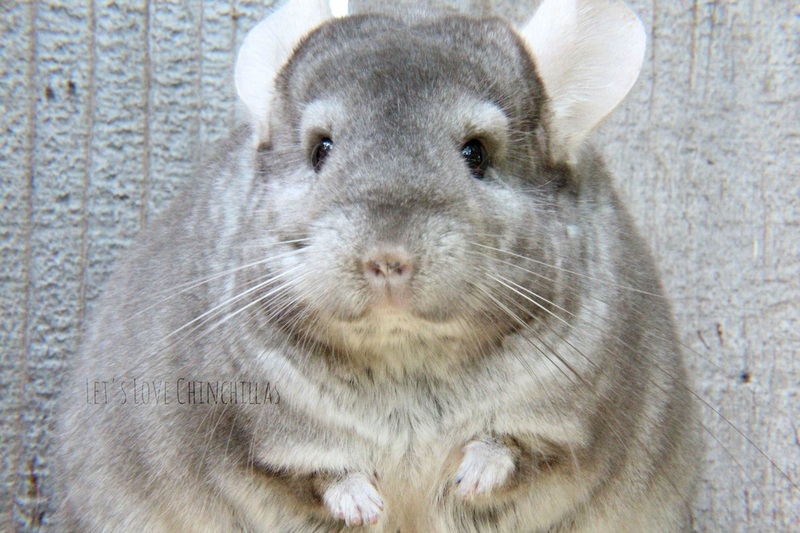 She's smaller, and very round like a soft-ball. She's an introvert, no beating around the bush. She prefers men, and doesn't like to pose for cute pictures ( see right image ). 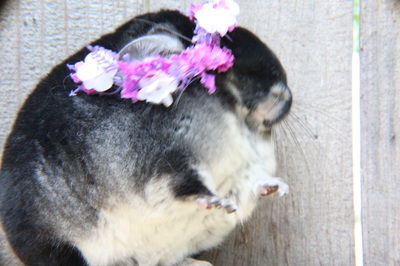 However, She and Duchess adore each other so they will have each other to socialize with. I don't mind. Duchess is a female Beige Chinchilla with a "dirty belly". Dirty belly means she has ebony in her genes making her belly that off-white color. She could also be described as a "light tan" but she resembles a beige better. 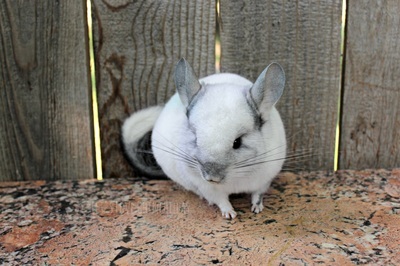 She's the daughter of Snow and Odin ( who has since been neutered ). She's a plump, independent chinchilla who just loves her cage mate ( Maleficent ) and is very smart. Joy ( left ) and Melody ( right ) are twin Black Velvet females born out of Ariel ( below ) and their father who is a standard male. We did not breed them, their mother arrived pregnant. Joy is a happy little dust bunny and Melody is very adventurous. Both will leap into my arms. 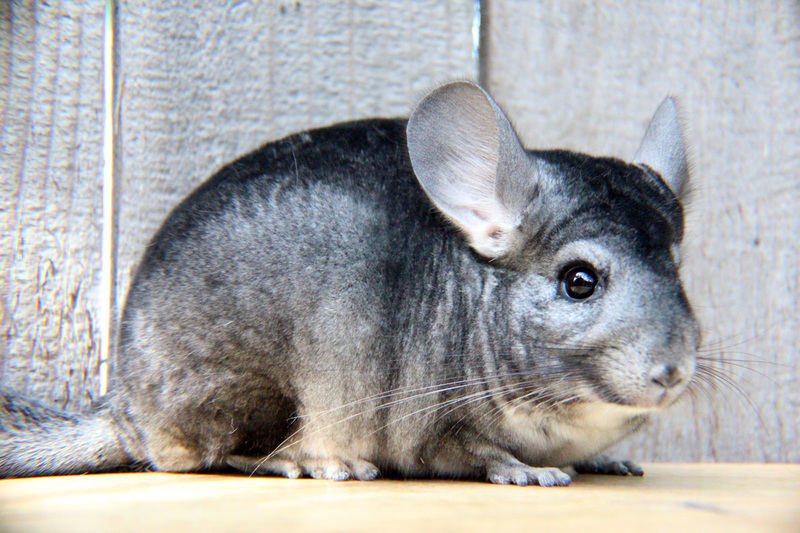 The girls are just barely over 1 year of age and are housed with their mother and Envy. They're one big happy quad colony. Ariel is a female Brown Velvet Chinchilla who was originally sold as part of a breeding colony. I believe it was her, 2 other females, and a male. 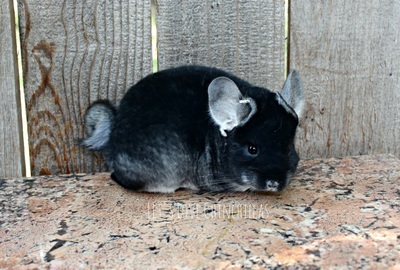 The breeder/owner surrendered them to our friend in Idaho, and we decided to purchase Ariel from her. We had hoped Ariel would not be pregnant but we took the chance. SHE WAS! She came to her new loving ,safe, home and delivered to healthy and beautiful twin black velvet females, Melody and Joy. Ariel is on the smaller side, but is a total smoozer for skritches and will talk back to you if you chirp at her. 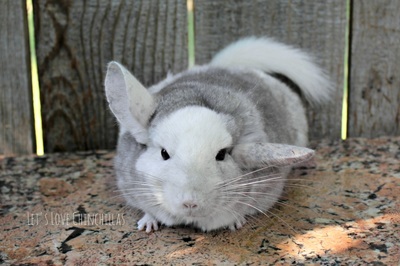 Envy is a female Tan White Chinchilla who has lived a rough life. She was surrendered to a breeder, in Illinois from another breeder who had not been well. The original breeder had not been well and able to care for the animals properly and did not assign anyone competent enough to care for them. Somewhere along the line, Envy became very urine stained and scalded. She was urinating on herself. She also had been attacked and had 1/2 of her scalp damaged. 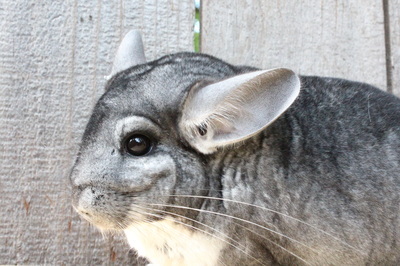 Fur will not regrow by her left ( right in picture ) ear and the ear will never stand again. She has nerve damage in it, and excessive scar tissue from a improper heal. We don't know if she ever revived treatment for her injuries but she was "healed' by the time we got her. She was surrendered, and stayed at the other breeder's home for 4-5 months until she came to me all the way out here in California. When she came to me we discovered she had ringworm! 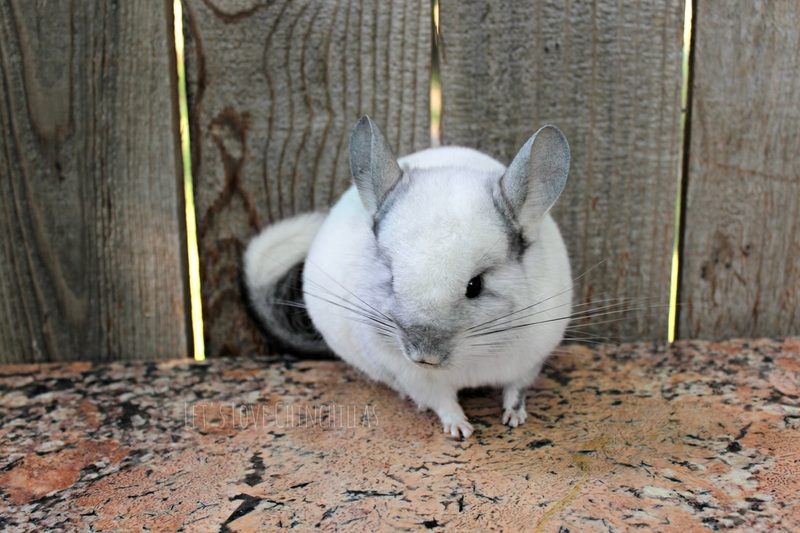 I had only paid $50 for her. One of the best $50 I have spent. Envy is very calm and relaxed. 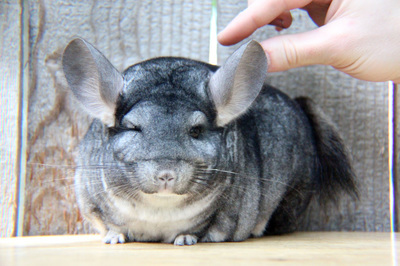 She will let you pet her. She wants to be cradled when held, not just held away from your body. Her age is unknown, but estimated around 5 years. We just cannot be certain. She is bonded to Ariel, Melody, and Joy. 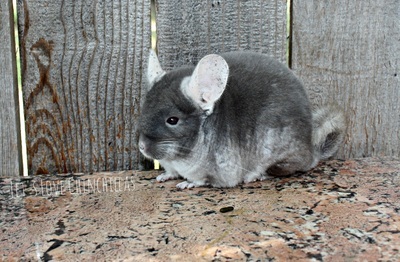 Kiana and Killiki are our newest additions. 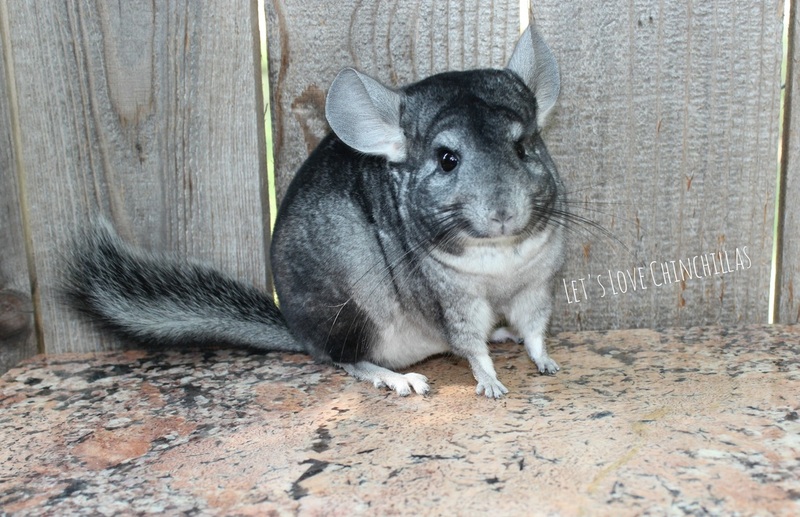 Their previous owner loved them very much, but due to unforseen life changes, she was unable to keep them. 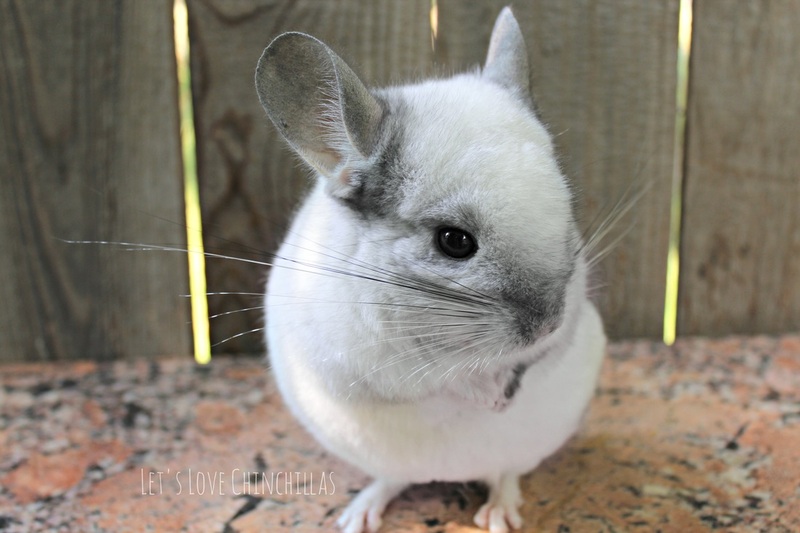 Originally we were going to foster, but due to a change in duration of the lease, we decided together that it would be best if I just adopted the girls. I was more than happy to. Kia is 10.5 years old, and is a Violet chinchilla. Kiki is 11.5 years old and is a big beautiful beige. Their owner took these photos, and we're using them temporarily until we can take and upload some of our own. The girls both had ringworm, so we're treating them right now. 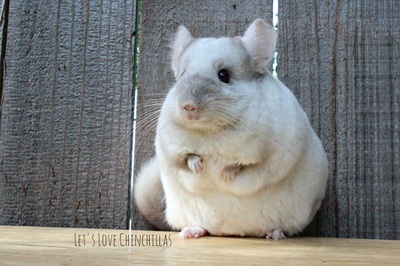 It's a common thing for chins to get, so it's not anything bad on their previous home. They joined us Nov 2016.